Amplifier from Walter Williams on Vimeo. Fast Food Driving school from Walter Williams on Vimeo. Pizza Head Star Wars from Walter Williams on Vimeo. Sumo Sushi from Walter Williams on Vimeo. Happy America from Walter Williams on Vimeo. 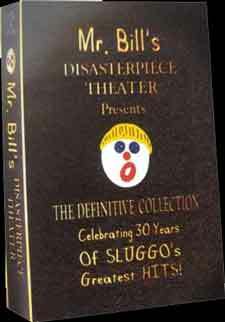 Mr. Bill Does Leno from Walter Williams on Vimeo. Mr. Bill Does Jeopardy from Walter Williams on Vimeo. The Biliad and the Odyssey from Walter Williams on Vimeo.